Petersburg, a prosperous city of 18,000, was a supply center for the Confederate capital of Richmond, given its strategic location just south of the city, its site on the Appomattox River that provided navigable access to the James River, and its role as a major crossroads and junction for five railroads. The taking of Petersburg by Union forces would make it impossible for Robert E. Lee to continue defending Richmond. The Richmond-Petersburg Campaign, popularly known as the Siege of Petersburg, was a series of battles around Petersburg, Virginia, fought in the American Civil War from June 9, 1864, to March 25, 1865. During these nine months Union forces commanded by Lt. Gen. Ulysses S. Grant assaulted Petersburg repeatedly while simultaneously constructing trench lines that eventually extended over 30 miles around the eastern and southern outskirts of the city. By April 1st, Grant had almost encircled Petersburg and Lee’s army was down by 25% from casualties. Grant sensed an opportunity and ordered a frontal assault that opened just after midnight. The artillery began shelling, and the infantry followed at 4:45 a.m., attacking all along the Petersburg lines. Thus, the Petersburg Campaign, the longest of the Civil War, came to an end. The casualties for the entire period of the siege are estimated to be 42,000 for the Union, and 28,000 for the Confederates. By mid-afternoon on April 2, Confederate troops began to evacuate the town. 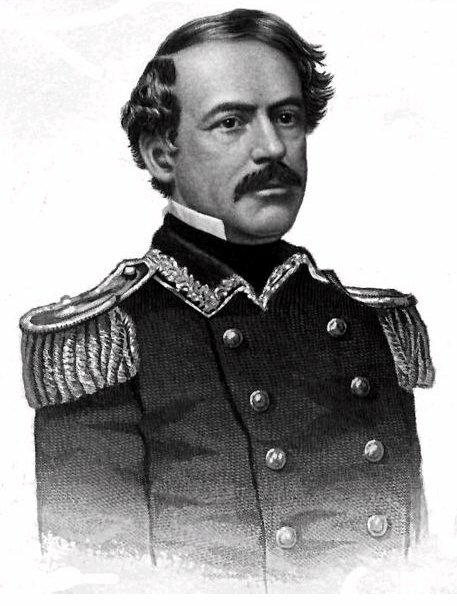 Lee’s initial plan was to march to North Carolina, consolidate his army with Gen. Joseph E. Johnston’s, defeat Gen. William T. Sherman’s army, and then turn on Grant. The wings of his army were to rendezvous at Amelia Court House, resupply, and march to Danville along the Richmond and Danville Railroad. But little went as anticipated. Crossing the Appomattox River was difficult because of high water, and the rendezvous was delayed. The necessary supplies did not make it on schedule to the Amelia Court House. Lee had to wait, and lost his day’s lead over the pursuing Grant, a delay which allowed Federal cavalry and infantry to block his path further down at Jetersville. Improvising, Lee turned west and began a series of three consecutive night marches. Grant’s strategy – to press Lee from the rear while preventing his from turning south, get the cavalry in front of him, and then surround and compel him to fight or surrender – was more successful. Fighting by day and marching by night, the army of Lee’s exhausted and hungry men began to dissolve. A week later, they surrendered to Grant at Appomattox Court House. The word quickly spread to other churches. Stacks of government documents were piled up on the sidewalks by government offices and set on fire. Wagons filled the streets. The evacuation of Richmond had begun. 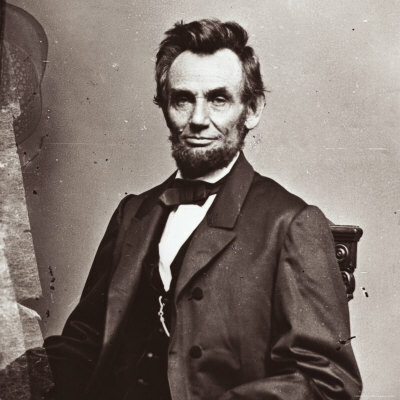 On April 5, President Lincoln himself went to Richmond, and sat in Jefferson Davis’s chair. Two weeks later, Lincoln would be dead. The Fifteenth Amendment to the Constitution granted blacks, now free from slavery, the right to vote, declaring that “The right of citizens of the United States to vote shall not be denied or abridged by the United States or by any state on account of race, color, or previous condition of servitude.” It was passed by the House of Representatives on February 25, 1869, and the Senate on February 26, 1869. It was ratified on February 3, 1870. You can read the entire text of his message here. 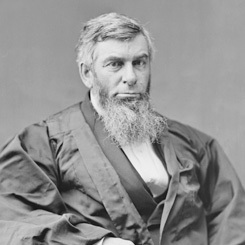 On January 19, 1874, President Ulysses S. Grant nominated Morrison Waite, an attorney and politician from Ohio, to serve as the seventh Chief Justice of the U.S. Supreme Court. Waite went on to author what is generally characterized as one of the Supreme Court’s worst rulings, one that handicapped the federal government’s ability to protect newly freed slaves for nearly a century. In United States v. Cruikshank, 92 U.S. 542 (1875), the Court held that protections afforded by the newly enacted Fourteenth Amendment, including due process and equal protection, only governed state actions, not those committed by individuals. This decision overturned the convictions of three white men accused of the murder of at least 105 blacks (and perhaps up to 300) in the Colfax massacre at the Grant Parish, Louisiana, courthouse on Easter 1873. In the wake of a disputed gubernatorial election between a white Democrat and a black Republican, a riot broke out between the White League (a group akin to the Klu Klux Klan) and Louisiana’s largely African American state militia. Several hundred whites, armed with rifles and even a small cannon, surrounded the courthouse where the blacks were ensconced, and opened fire. The black defenders ran up a white flag of surrender, but the mob wasn’t interested in mercy, butchering any they could reach. It became known as the worse slaughter perpetrated against blacks during Reconstruction, and that’s saying a lot, given the violent nature of the times. Chief Justice Waite held that the First Amendment right of assembly and the Second Amendment right to bear arms only protected against violations by the federal government, not the states. The fact that the perpetrators of the violence in Colfax were never convicted of a crime served to embolden terrorist organizations like the Ku Klux Klan and other groups seeking to restore racial hierarchy to the South. At that time, of course, and for almost the next one hundred years, the southern states, with the imprimatur of “sovereignty” for the protection of the rights of life and personal liberty of its citizens, acted mainly on behalf of white citizens only, ignoring the violence against and intimidation of blacks. Indeed, southern government officials were often complicit in it. Once again, Southern states took heart from the Court. Within two hours of the ruling, Texas announced a voter identification law would go into effect, along with redistricting. Other states soon followed. The Royal Marriages Act 1772 (772 CHAPTER 11 12 Geo 3, repealed by the Succession to the Crown Act 2013, was an act of the Parliament of Great Britain enumerating the conditions under which members of the British Royal Family could contract a valid marriage. The purpose of the law was to guard against marriages that could diminish the status of the royal house. More specifically, the act was proposed by George III after the marriages of his brothers. In 1771, Prince Henry, Duke of Cumberland and Strathearnhad married the commoner Anne Horton. Then in 1773 the King learned that another brother, Prince William Henry, Duke of Gloucester and Edinburgh, had in 1766 secretly married Maria, the illegitimate daughter of Sir Edward Walpole and the widow of the 2nd Earl Waldegrave. Both alliances were considered highly unsuitable by the King. The 1772 Act said that no descendant of King George II, male or female, other than the issue of princesses who had married or might thereafter marry “into foreign families,” could marry without the consent of the reigning monarch, “signified under the great seal and declared in council.” That consent was to be set out in the register of the marriage, and entered in the books of the Privy Council. Any marriage contracted without the consent of the monarch was to be null and void. This change helped facilitate the repeal of the entire Marriages Act by Parliament in 2013. The Succession to the Crown Act 2013 repealed the Royal Marriages Act 1772. But all the countries in which the Queen is head of state had to pass necessary legislation before it took effect. This had already taken place pursuant to “The Perth Agreement,” an agreement made by the prime ministers of the 16 Commonwealth realms during the biennial Commonwealth Heads of Government Meeting in October, 2011 in Perth, Australia. The agreement replaced male-preference primogeniture – under which male descendants take precedence over females in the line of succession – with absolute primogeniture; ended the disqualification of those married to Roman Catholics (a provision of the Act of Settlement of 1701) ; and limited the number of individuals in line to the throne requiring permission from the sovereign to marry to six. The ban on Catholics and other non-Protestants becoming sovereign and the requirement for the sovereign to be in communion with the Church of England remained in place. By December 2012, all the realm governments had agreed to implement the proposals. (1) A person who (when the person marries) is one of the 6 persons next in the line of succession to the Crown must obtain the consent of Her Majesty before marrying. (c) recorded in the books of the Privy Council. (3) The effect of a person’s failure to comply with subsection (1) is that the person and the person’s descendants from the marriage are disqualified from succeeding to the Crown. (4) The Royal Marriages Act 1772 (which provides that, subject to certain exceptions, a descendant of King George II may marry only with the consent of the Sovereign) is repealed. (d) no person acted, before the coming into force of this section, on the basis that the marriage was void. (6) Subsection (5) applies for all purposes except those relating to the succession to the Crown. Six realms in addition to the UK legislated for the changes: Australia, Barbados, Canada, the Grenadines, New Zealand, St Kitts and Nevis and St Vincent. Nine others concluded that the legislation was not necessary: Antigua and Barbuda, Bahamas, Belize, Grenada, Jamaica, Papua New Guinea, St Lucia, Solomon Islands and Tuvalu. You can find a history and recapitulation of Royal Succession Bills and Acts here. Prince Harry was still required by the Succession to the Crown Act 2013 to seek permission from the Queen in order to marry. Harry and Meghan’s consent to marry was officially approved by his grandmother the Queen on March 14, 2018. 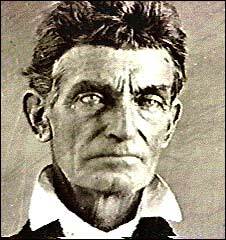 Because there were so many complicated factors leading up to the attack on Harpers Ferry, Horwitz cannot tell John Brown’s story without also explaining the events that influenced Brown, such as the passage of the Kansas-Nebraska Act, which requires an explanation of the Compromise of 1850, which in turn necessitates an explanation of the 1820 Missouri Compromise, and so on. This part of the book is rather dry, as it is delivered without any analytical fanfare. Evaluation: This book is not as “fun” as others by Horwitz, but deals with a critical time in America’s history. 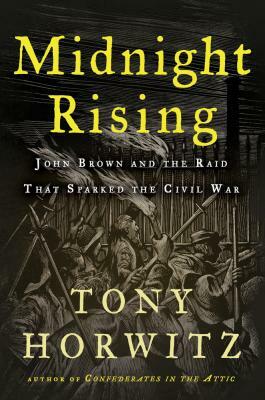 Further, it does so from the perspective of ordinary citizens in the country instead of elected officials who usually form the basis of what we know about the events leading up to the Civil War. These ordinary citizens made a huge difference, and the lessons we can take from them are manifold. In the late 1700’s, Britain made the ultimately fatal mistake of not only trying to police the American colonists against their worser angels, but also assessing them taxes for the effort. The fact was that Britain had a lot of expenses and irritations associated with her American colonies. In order to secure the northern border of America, Britain, joined by colonials, had fought the French and Indian War (1756-63) and procured Canada from the French, but it was a costly campaign. Moreover, after the war, the British permitted the French “Papists” to retain their property, thus “cheating” the Americans of the rich plunder anticipated at war’s end. Afterwards, Britain attempted to enforce compliance with treaties made with Native Americans by stationing troops in North America, and they forbade colonists from moving west of the Appalachians. This latter policy in particular was anathema to the Americans, who, long before their policy was articulated by the phrase “manifest destiny,” decided that they, not the Indians, were the superior race and therefore deserved the riches that lay to the west. To help pay for the troops, the Stamp Act was passed by the British Parliament on this day in history, March 22, 1765. The Stamp Act was the first internal tax levied directly on American colonists by the British government. The British Empire was deep in debt from the French and Indian War. Since the war benefited the American colonists as much as anyone else in the British Empire, the British government decided it was only fair for those colonists to shoulder part of the war’s cost. Proof sheet of one-penny stamps submitted for approval to Commissioners of Stamps by engraver. 10 May 1765. The new tax was imposed on all American colonists and required them to pay a fee for every piece of printed paper they used. Ship’s papers, legal documents, licenses, newspapers, other publications, and even playing cards were taxed. In sum, the American colonists, who paid less taxes overall than did citizens in the British homeland, objected mightily to the uses to which the taxes were put and to the precedent it set. Furthermore they thought they had found adequate philosophical support for their position from Enlightenment ideas then roiling the West. Tensions increased on both sides. After months of protest, and an appeal by Benjamin Franklin before the British House of Commons, Parliament voted to repeal the Stamp Act in March, 1766. However, on the same day, Parliament passed the Declaratory Acts, asserting that the British government had free and total legislative power over the colonies. A year later, in a series of measures introduced into the English Parliament by Chancellor of the Exchequer Charles Townshend, the Townshend Acts imposed duties on glass, lead, paints, paper and tea imported into the colonies. Provocations and skirmishes marked the next three years, and once again Parliament repealed most of the taxes except the tea tax (for reasons having more to do with the needs of the colonies in India than in America). Again, the tax was low, and in fact, it made tea cheaper than before in America. But American smugglers resented the action, which would undercut their own profits. John Hancock organized a boycott of tea from the British East India Company, and its sales fell precipitously, while Hancock got wealthy smuggling in tea from elsewhere. A rebel group, the Sons of Liberty, also interpreted the Tea Act (i.e., selling them cheaper goods!) as a hostile act by Britain. Thus the American rebels decided they must take action. On December 16, 1773, the Sons of Liberty, dressed as Native Americans, boarded three ships carrying East India Company tea and dumped 342 chests of it into Boston Harbor. Britain’s retaliatory punitive measures galvanized other colonies to come to the aid of Massachusetts, and the American Revolution was on its way.